Ida Cook also writes as Mary Burchell and James Keene (with Will Cook). Ida Cook was born on 24 August 1904 at 37 Croft Avenue, Sunderland, England. With her elder sister Mary Louise Cook (1901), she attended the Duchess' School in Alnwick. Later the sisters took civil service jobs in London, and developed a passionate interest in opera. A constant presence at Covent Garden, the pair became close to some of the greatest singers of the era; Amelia Galli-Curci, Rosa Ponselle, Tito Gobbi and Maria Callas. They also came to know the Austrian conductor Clemens Krauss, and it was through he that Cooks learned of the persecution of European Jews. In 1934, Krauss's wife asked the sisters to help a friend to leave Germany. Having accomplished this, the sisters continued the good work, pretending to be eccentric opera fanatics willing to go anywhere to hear a favourite artist. Krauss assisted them, even arranging to perform in cities they needed to visit. The sisters made repeated trips to Germany, bringing back jewellery and valuables belonging to Jewish families. This enabled Jews to satisfy British requirements as regards financial security - Jews were not allowed to leave Germany with their money. Using many techniques of evasion, including re-labelling furs with London labels, the sisters enabled 29 persons to escape from almost certain death. The Cooks' own finances were little precarious, and when Ida obtained a contract with Mills and Boon to published her first novel in 1936, she left the Civil Service to write full time. As Mary Burchell, she became a prolific writer of romantic fiction. Her great popularity helped the success of Mills and Boon, and guaranteed substantial income after the war. For many decades, her writing supported her two passions: refugees and young opera singers. Her flat in Dolphin Square at various times housed homeless European families. In 1950, Ida Cook wrote her autobiography: "We followed our stars", and in 1965, the Cook sisters were honoured as Righteous Gentiles by the Yad Vashem Martyrs and Heroes Remembrance Authority in Israel, thus joining Oskar Schindler among others. She helped to found and was for many years president of the Romantic Novelist's Association. 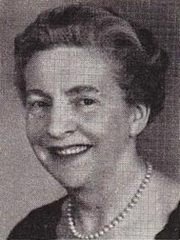 As Mary Burchell, she wrote over a hundred romance novels, many of which were translated, and her most famous work is "The Warrender Saga", a series about the opera world, full of real details. She also wrote as James Keene with William Everett Cook. Ida Cook passed away on December 22, 1986 and her sister Louise in 1991. Mary Burchell is currently considered a "single author." If one or more works are by a distinct, homonymous authors, go ahead and split the author. Mary Burchell is composed of 5 names. You can examine and separate out names.